Can you live on one income? If you are like many couples, you can’t even get by on two! But that doesn’t mean you can’t stay home to raise your children. It may be less expensive to run the household with only one spouse working. That’s because two careers mean additional expenses for childcare, commuting, clothing, meals eaten out, and taxes. But beware — putting your career on hold can come back to haunt you. You’ll pay the price when you re-enter the market. An interruption in your work history is likely to reduce your earning potential and cost you seniority. 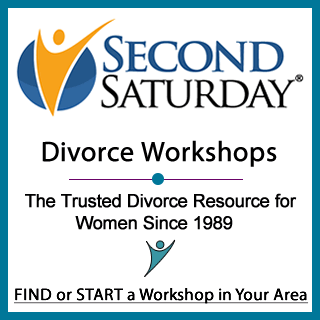 If your marriage ends in divorce or the death of your husband, you may not be able to re-enter the job market quickly if you haven’t kept up your skills and maintained your network contacts. Give notice and gather references. Be sure to give your employer at least two- to three-weeks notice when you leave your job. Ask for letters of recommendation from your boss and colleagues or clients before your last day. Retain your benefits. Under the so-called federal COBRA law, you likely are entitled to continue the same healthcare benefits for 18 months, though you will have to pay the premiums that your employer may have paid or subsidized.Time your departure wisely. If you’re only a few months from vesting in your employer’s stock options or 401(k) contributions, consider waiting a bit before calling it quits. Keep up your job skills. Job sharing, consulting, or working part-time are great ways to stay active in your field. Keep up your professional certifications so you don’t have to re-qualify when you decide to go back to work. Stay in touch. Keeping contact with previous bosses and colleagues will pay off. When you are ready to re-enter the job market, you’ll have a network of contacts to help with your search. Take classes. Attend continuing education classes to stay in touch and keep current. If you are planning to go into a different line of work, take classes in a new field so you’ll have the right skills when it’s time to look for a position.